Claire Peake; Another victim of ‘unhappy’ pills? You know, some of the stories I read are way too close to home. This one in particular is about a young mother and it reminds me so much of my sister when she had her first baby, a little girl. She was besotted with her beautiful baby as most new mothers are and the thoughts of going back to work and leaving her daughter filled her with dread. No-one could mention the W word (work) without the floodgates opening, so we learned to dance around the subject, and referred any questions to her long-suffering husband instead. Anyway she was feeling terrible, so dispatched herself off to the local doctor who promptly, after about 10 minutes, told her she needed to go on antidepressants. My sister explained what had happened to Shane, her nephew, and the terrible consequences because of these drugs, to no avail. The doctor seemed to ignore her protestations and insisted that she needed antidepressants. She left without a prescription, feeling much worse than she had when she went in. As she was leaving my sister asked the doctor if she thought she “would get better?” The doctor’s response was.. not without the tablets!! She hasn’t been back since! Needless to say, she’s back at work, albeit part-time, and herself and her gorgeous daughter are none the worse for it, still hoping to win the lotto though so she can give up work! 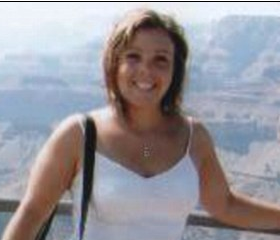 Yesterday in the ‘Mail Online’, there was an article published about a young mother and teacher who died by suicide. The article stated that Claire Peake, a ‘fantastic teacher’, had stopped taking antidepressant medication while she was pregnant but started taking it again in December. An earlier article said she was taking Mirtazapine, an antidepressant. Similar to SSRI’s which can exacerbate some patients’ depression and cause suicidal ideation (Wiki), Mirtazapine is also believed to be capable of this, hence the black-box warning in the U.S. This woman had stopped taking the antidepressant (Mirtazapine) while she was pregnant probably for fear that these drugs can cause birth defects. She went back on the drug in December when her daughter was 3 months old. Two days before her death her dosage was increased after she visited her GP in a tearful and distressed state. Was the doctor aware or was Claire told, that the dangerous period with these drugs is upon starting, discontinuing or changing the dosage (up or down). The article also states that Claire was clearly devoted to her 5 month old daughter. It seems that Claire was not as lucky as my sister, who, without the intervention of an antidepressant, returned to her normal happy self without the doctor’s intervention of a prescribed antidepressant. Was Claire’s suicide caused by her depression or the very drugs that she was taking to make her feel better? Interestingly, there is another Mail Online article today entitled “They sold us ‘happy pills’ – but all we got was suicide and misery”. Article here. Mail Online Full Article on Claire Peake. Next postWayne Grew: Another victim of Citalopram?